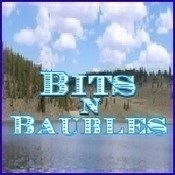 Welcome to Bits-n-Baubles! We have been selling online for almost a decade. We enjoy listing various items that we find at estate sales and auctions. We do ship worldwide and welcome international customers to our booth. We offer great customer service and want to ensure that you have a wonderful shopping experience when you purchase from our booth. If you have a question or comment about any of our items or booth, we would love to hear from you. All inquires are answered in a timely manner. BitsnBaubles doesn't have any items in their booth!